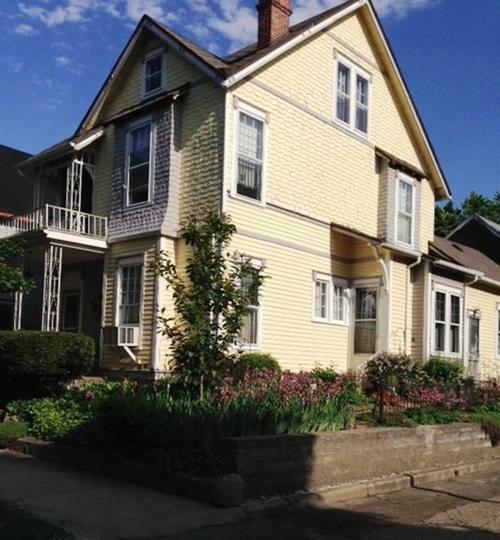 Charming Victorian Home with lots of character near downtown Anderson in the Historic District. *Gorgeous entry way with grand staircase and hardwood floors throughout. *Dining room with fireplace and French doors, cozy living room with pocket doors, fireplace, and window seating* Warm and inviting kitchen with all stainless steel appliances included * 5 large bedrooms, Master bedroom has fireplace and second floor walk out balcony. *4 fireplaces total * 2 full baths* Laundry room on main floor* 3rd Floor is 14' x 22' Bonus room with high ceilings and 3 Dormers and lots of storage *Basement* Attached garage* New Furnace 2016* Comes with a 1 year HSA Home Warranty. Listing provided courtesy of Carpenter, REALTORS®.